← Jewels for the holidays! 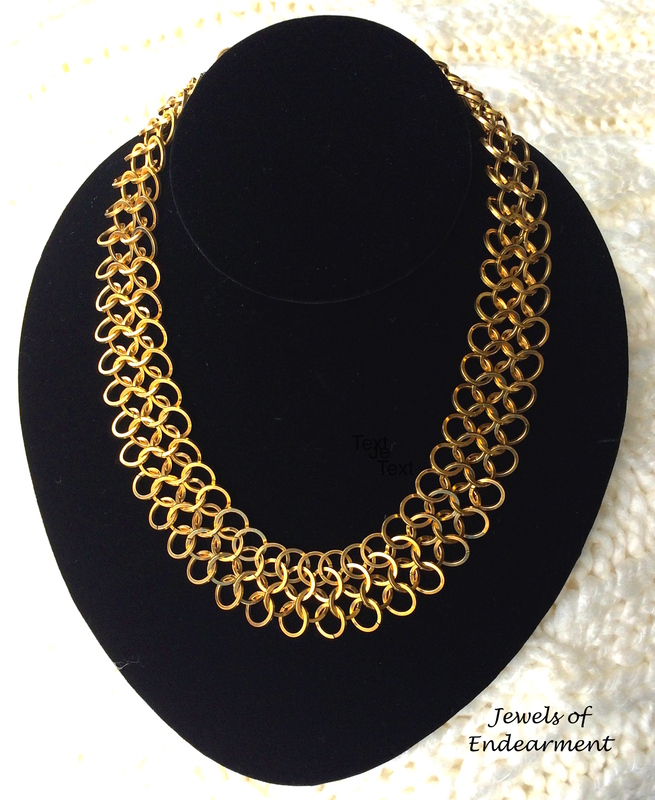 Chain Maille Necklace Simple and elegant this necklace is made with special square wire formed into multiple rings and hand woven. 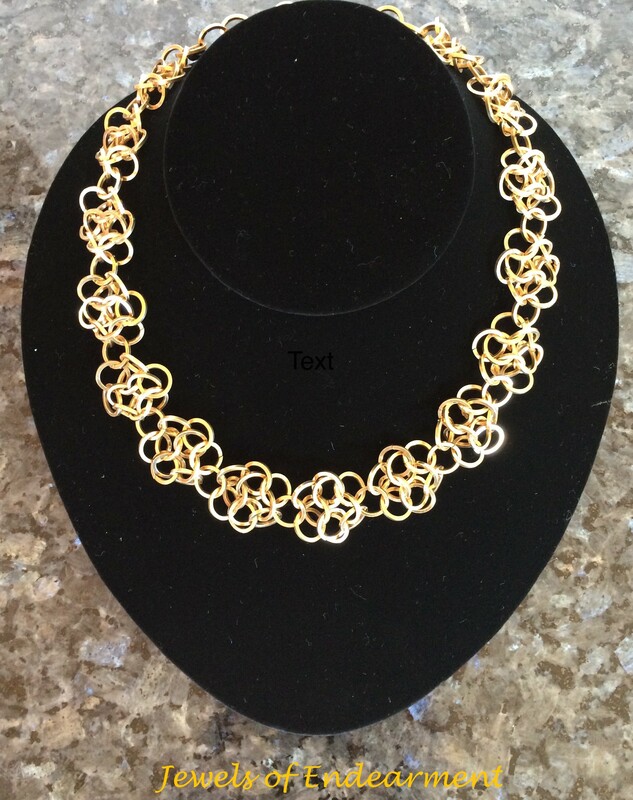 Chain Maille Rosette Necklace A variation which adds a lovely melody to any outfit! Chain Maille Grande Large rings make a definite statement! 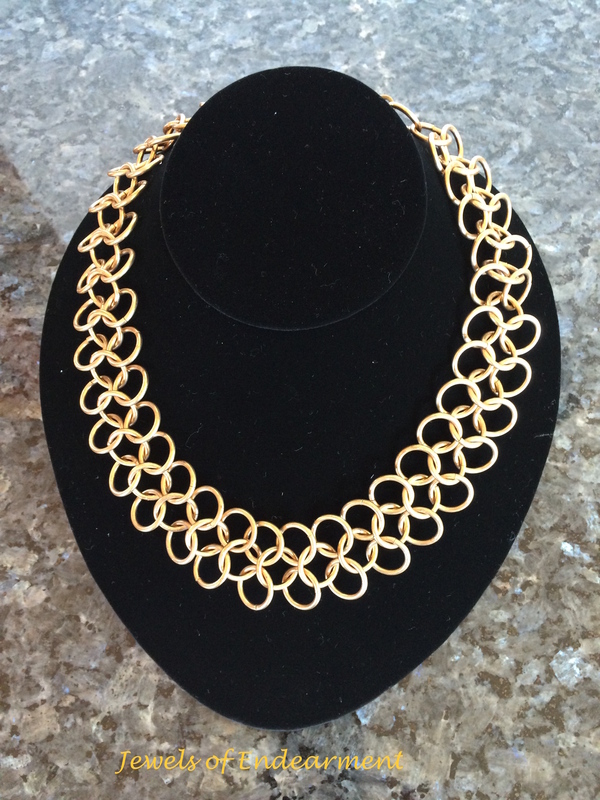 This entry was posted in chain maille, Necklaces and tagged Chain mail, necklaces. Bookmark the permalink. You’re jewelry is lovely! I really like these chain maille ones, particularly the rosette design. Loved the chain mail necklaces! I’ll take one in gold. Aww, you ladies are kind! Thanks! Gorgeous work! LOVE, LOVE, LOVE! They’re beautiful! Each so unique.